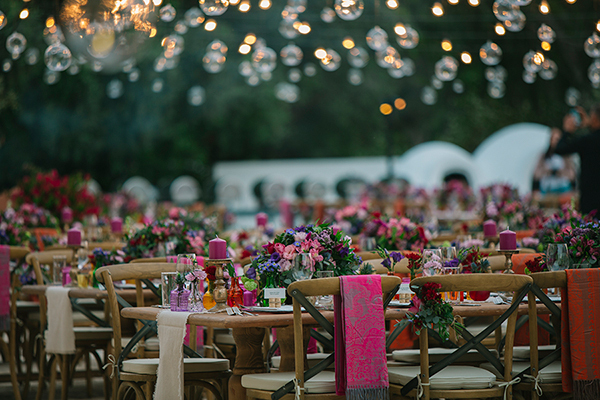 Lovely music and right lighting in a wedding create a cozy and beautiful atmosphere, awakening the senses and improving guests’ total experience. Event production company “Music Essentials” is specialized in this field, upgrading any social or corporate event. Company’s creator, Andreas Giannas has managed to turn his hobby, djing, into a business he loves, and which gives him pleasure. Andreas and his team do their best so that every event has a spectacular and unforgettable result. 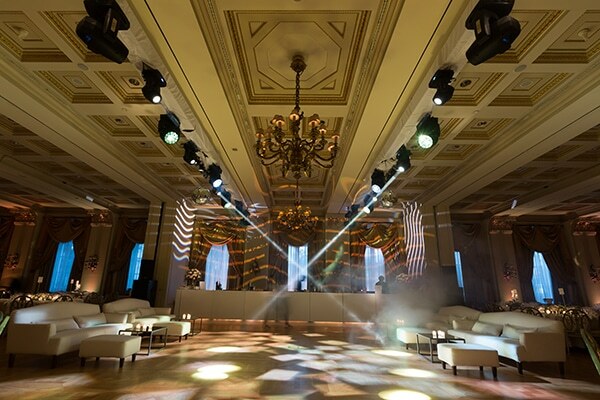 Offering a new perspective on sound and lighting, the company’s experienced professionals offer provide excellent services that meet every client’s needs. 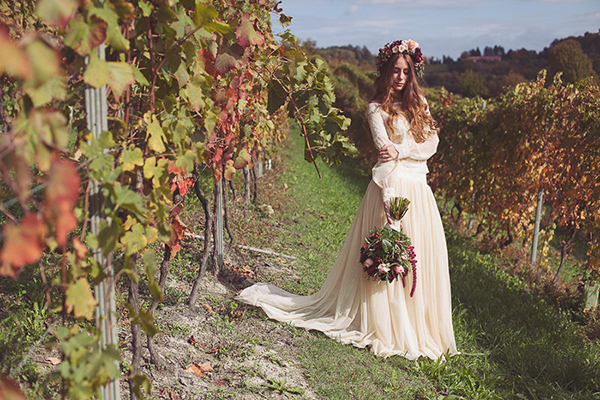 The incredible, dreamlike creations of the pictures below speak for themselves! 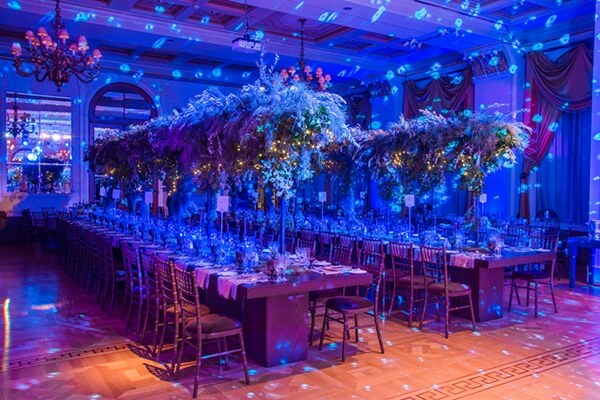 “For this wedding reception, we used the ‘uplighting’ technique, a type of architectural lighting, and we turned the venue purple; it matched perfectly the rest of the decoration. 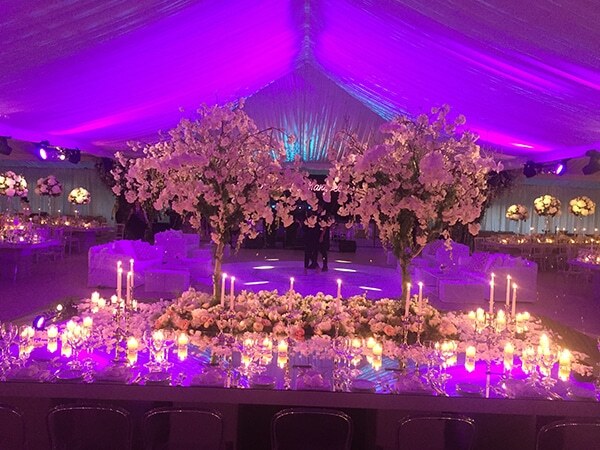 Purple shades dominated, and we created an impressive yet elegant atmosphere. 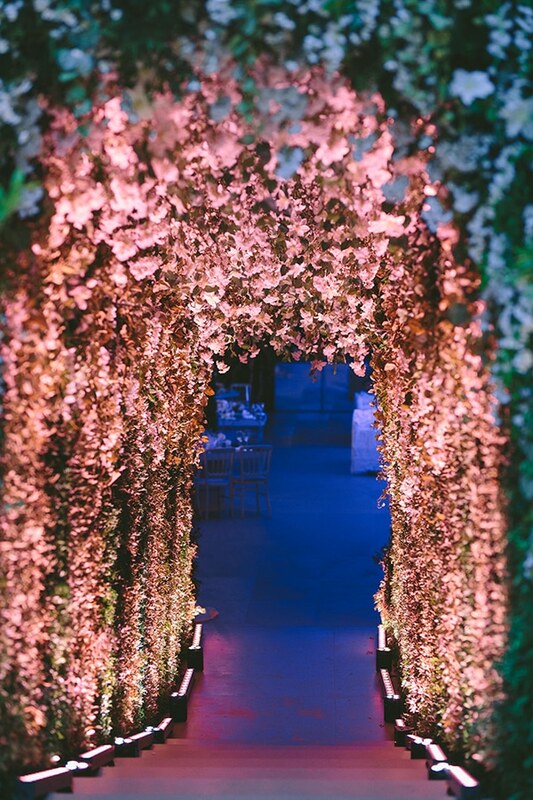 In addition, with spotlighting we highlight certain parts of the decoration and certain tables, and we highlight the amazing floral corridor with an array of LED lights”. 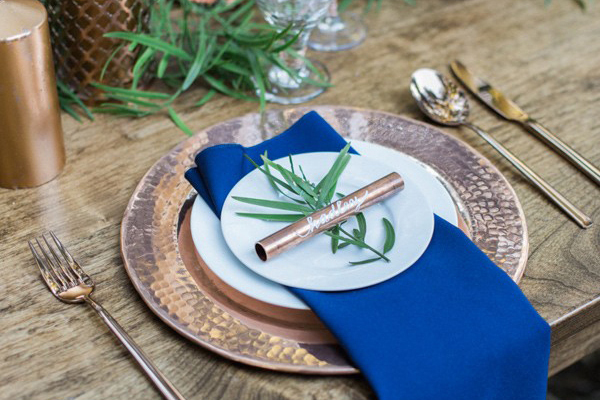 You can turn your winter wedding into a unique experience, which apart from fun, it will also offer a mixture of feelings and an awakening of senses to your guests. 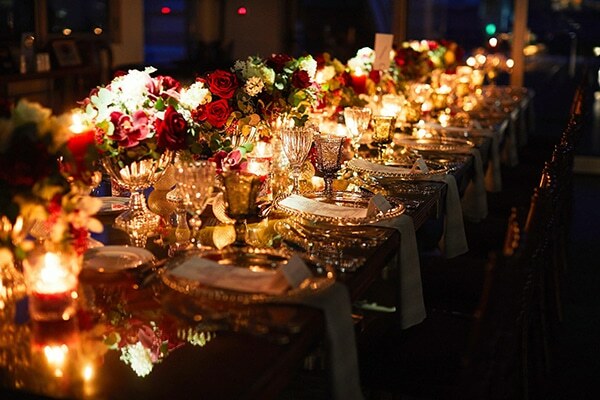 Get inspired by photos, found ideas and imagine the ideal wedding for you and invest in human senses. 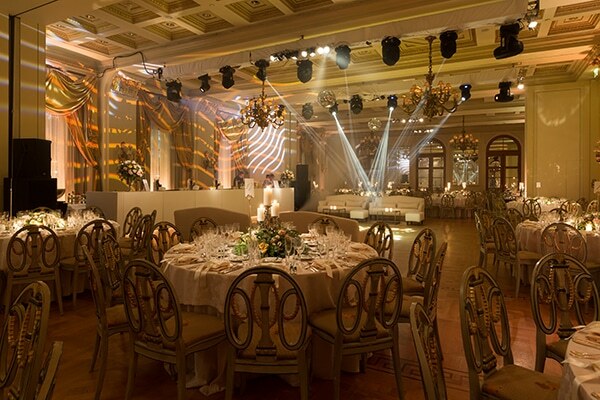 With help by the right professionals, we will create a magical atmosphere that everyone will remember forever! 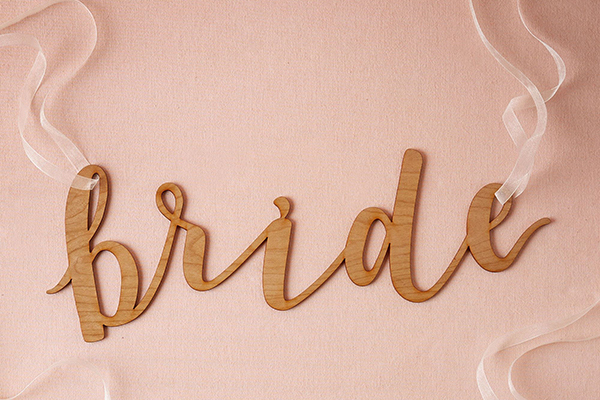 These are some gorgeous and creative wedding ideas! Really attractive decors!